1) How would you describe 2016? 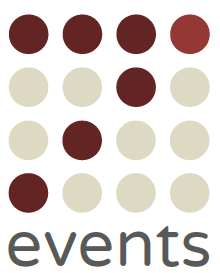 7 Events launches and the nervousness kicks in! You get out what you put in – All the hard work put into 7 Events was well received. Stay positive…never let negativity bring you down! Our teams of ‘DMAF’ and ‘Mudders in Arms’ conquered the Tough Mudder challenge and raises lots of money! They showed such enthusiasm and determination, it has rubbed off on all the other challengers! Persistence is key – especially when it comes to ticket sales!! Summer Raas Garba Spectacular & Prudential Ride London Surrey 100 – exhausting but simply amazing! Super super proud of the ‘Born to Run’ team who took up the challenge and smashed it, even though one got lost! Time to take a step back – 4 events done, 3 to go – massive achievement so far – very grateful for all the support! Leicester Tigers away in 1 day – an amazing effort by all the challengers and participants! Optimism and dare I say it, ideas floating around for 7events 2017! Preparations for purchasing of equipment for the charities and the final event in April! 3) What were the highlights of your year? CPR workshops which everyone who have taken part in have said they were glad to have done it. Prudential Ride London Surrey 100 – amazed in myself to have completed this. What an amazing event this was! Summer Raas Garba Spectacular – achieved what we set out to do! 4) What was your biggest challenge? There were lots of challenges but nothing that wasn’t easily resolved. Working 9 to 5 whilst running 7events was hard but I managed. Personally, I found the Prudential Ride the most challenging but worked hard to complete it and did manage it which was a huge personal achievement for me. 5) What were your top 3 lessons learnt from 2016? If you are not willing to do it yourself, do not expect others to do it! Not everyone sees your goal and vision, but stick to it! 6) Who/what were the significant people during the past 12 months? Amil, Isha, Radhika, Niki, Nakul and Sasha – There from day one! Reena, Dips, Yasin and Tom – Listened to my whinging and contributed so much to the campaign! Anand, Riten, Nisha, Chet & rest of the family – supportive throughout! Jalpa, Maher Girls Raas Group (Krishma), Raas Rebellion (Priyel) and supporters – That one event, no words can describe the feeling it left! All the participants especially DMAF, Born to Run, Russell Gamadia and Mudders in Arms – so proud of your achievments! Andrew, Kam and Steve – the work you do for your charities inspires! 7) What would you like to forget about this year? Do you have any regrets? Anything you would like to have done differently? Nothing to forget or regret as they were lessons, and done anything differently, put more hours in on the bike! 8) We bet 2016 has been an emotional rollercoaster for those involved – what have you felt throughout the year? Sadness, joy, tears, accomplishment and togetherness! 9) What did you accomplish? The 7 Events year is not complete yet but we smashed our donation target and personal goals were reached. 10) I there anything you would like to complete before the start of the new year? YES – take a step back for a few days and get some rest in! On a serious note, start making sure the money donated and raised is spent on equipment as we said we would from the beginning. 11) Any plans for other activities in the future? Absolutely! We are working on the secand 7events campaign as well as a few other side community events and workshops. In fact we have started looking at something special in 2020. Yes, that is how far we are thinking ahead so watch out for that! !